What products are on your wishlist for Anker to make next? 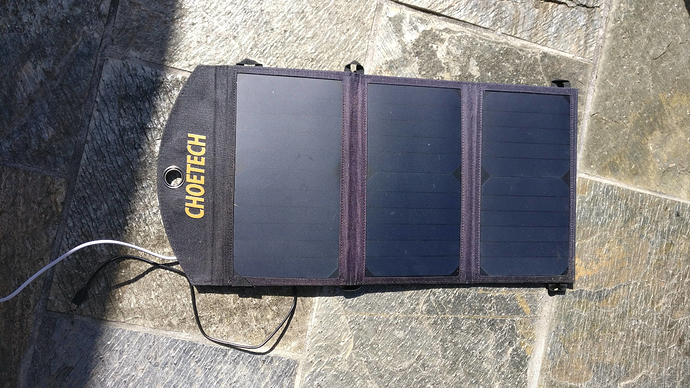 I would really like to see Anker make a portable fold out Sun Tracker as an accessory for their solar panels maybe with an included battery Bank in the Sun Tracker or an all-in-one fold up/solar panel/sun-Tracking/battery Bank. I would love to see Anker expand on the current PD Powercore. As as new Mac Powerbook Pro user, I would love to see a bigger battery (I have several portable batteries in the 35,000 mA/h range) and QC3 ports for the legacy stuff. A higher discharge rate (50-60 watts) would be useful too. 100Wh is the maximum you can fly with hassle-free through TSA / FAA / CAA. Could make a Powerhouse with upto 100W USB-PD. A camping Lantern/battery bank would be nice . Adds weight all the time, while using one temporarily to check the cable adds no weight in general, only when you are debugging. Adds cost but only of use to that one powerbank. Vs buying a meter separate you can use across all devices. I move meters but I can pretty much get by with about $25 worth of meters across hundreds of situations. Adds cost and weight all the time. That weight is there all the time, regardless of your need. The cost is locked into just the solar panel vs if you buy one separate you can pretty much use one meter across dozens or hundreds of contexts. - Android Wear on my wrist for a low level light I can turn on with a button press for night-adjusted vision, good for walking a few minutes type problem at night, not having to find a torch (duh, on your wrist!). The Anker LC90 is a variable output with focal beam torch with a USB input rechargeable. This is a good all-rounder torch. My phone, flashlight mode, it is in between the dimmer watch light and the LC90 light. It might add 2 dollars to the manufacturing cost and almost no weight. 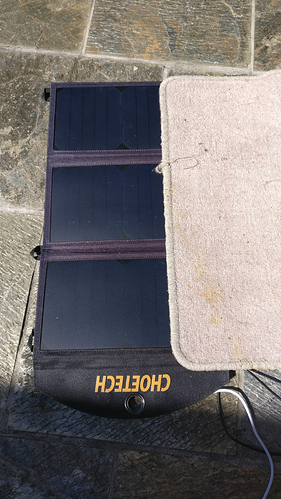 In the solar panels they would serve to maximize charging ability/panel-sun alignment. In all other cases it would used to see what kind of power your battery Banks solar panels are putting out. It sounds like you have no experience of solar or meters. I agree that solar panels have more of an argument for them to have a meter, because it tutors the owner to see the correlation between position, sunlight, and output. In the case of Anker solar panels they seem oddly more expensive already. 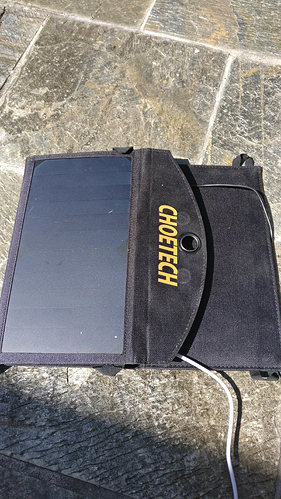 I tend to go with solar panel with USB meter to give a real time feedback of strength. The issue is that the position of the meter display is critical. If you put a meter on a solar panel, exactly where would it be? If you faced it towards the sun then you'd struggle to see it as by definition it is right at the sun, and if you leaned over to read the meter, or placed a hand over to shadow the meter to read, your body's existence would reduce the output so produce a false signal. If you placed it underneath then act of reading either makes for a near-impossible act of reading, or you'd have to move the solar panel which necessarily nullifies the meter's conclusion. Note that there are USB cables with meters in-band. This is why I tend to use a meter one-off to learn the solar panel, and to debug the cable but I either placed them on the end of an extension cord or use them when its easy to both see and not undermine the result. Or put it another way. The act of measurement alters the result with solar. you mean to tell me that standing in front of a solar panel and blocking the Sun would affect the output? Thanks for the lesson professor. Gee IDK on the side... It's convenient not to have to carry around extra accessories... I have plenty experience with meters. Myself and others would be happy to pay the extra $5 not to have a meter sticking out of one USB ports all the time potentially screwing up your USB port and meter. Any kind of output strength indicator would do. Preferably Lcd screen or a series of LEDs which would be easier to read but give the user way less information. Yes. It depends how you shadow it. Solar products are a parallel connection of serial cells. So if you part block 1 panel then the whole panel turns off. So in say the 21W Anker 3 panel product if you part-blocked 1 panel then the output would drop by 1/3rd. If you block 2 panels in a manner where 1 panel is not blocked but 2 are blocked, the output drops but not to zero. But if you partially block all 3 panels it drops to zero. So when I blocked more total solar panels, blocking 2/3rds of then in one direction, I had a lesser effect than when I blocked 1/3rds of then in a different direction. - you would never know this without a meter. Hence meters are excellent! - if you placed the meter in a location where to see it, you blocked the sun, you can alter the result to invalidate the conclusion. Depending on the shape of the shadow can have wildly different outcomes. Meters are good things but bundling them into some products is not viable, bundling with solar in the panel is an example of a bad idea. Putting them on the end of the wire next to the product, so in-band in the cable, and if the cable is long enough, is more viable, but if you recall, the most common cause of failure is cables, so the solar investment lasts longer if you just have a USB port and you source the cable separately, so you end up what is best is what we have now, the most experienced person would buy a meter and buy a cable and then use the meter at times. Dude. Have you ever heard of sarcasm? I don't need a reply. You are not going to change my opinion. Plus the fact that you proved my point for me. You're right meters are great and they would be even better built into certain devices like the travel solar panels. Your idea is a bad idea & your lack of imagination is troubling. 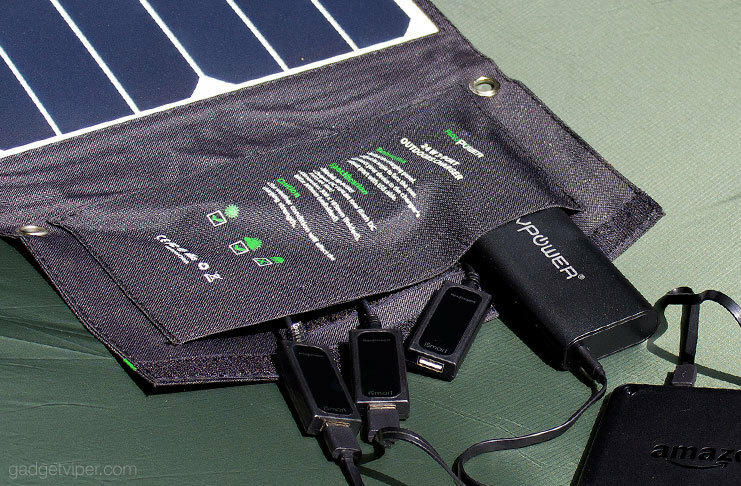 Imagine an Amp meter on the side/top of the USB ports or literally anywhere else on the solar panel unit body that's is not directly facing the light. Like I said in a previous post it could be in LCD or LED indicators to judge panel efficiency and charge potential. you place on the side, then you can struggle (a little) to read them. Also: what "side" these are thin when opened. you place underneath, it is a struggle (a lot) to see them. I can imagine a lot! - made it show its potential output then a device not drawing all like an iphone locked in trickle charge, will not become apparent. A meter showing strength of sunshine will not address all issues. - if you made it show actual draw, then that is what I think you meant. How could you take one meter from Anker and compare it to another non-Anker solar product if they are quoting different ways of measuring? That is why separate meters solve the problem quite well. The issue is multi-port output, it tends to need a meter on each port. That is the problem I have right now, it seems to need me to buy another meter so I can test all ports concurrently. An iPhone stuck in trickle charge mode will still draw amperage readable by the amp meter... One per port built into the charge/USB block in the device pocket or any number of designs. I do not understand why you are so determined to discredit this idea. Probably your strategy to get more points but is actually very irritating. If you want to be a troll go on YouTube. I'm sure nobody here appreciates your holier than thou attitude. Debate and sharing ideas so better ideas evolve is why its a forum. Inside both of us a better idea by sounding boards in a forum. Probably the best place for meters in the current Anker product is at the end of the cables which protrude, so both built in and readable from wider configurations, such as meter on end of these cables as on the Ravpower?